submitted by Derix Glasstudios/ Derix U.S. 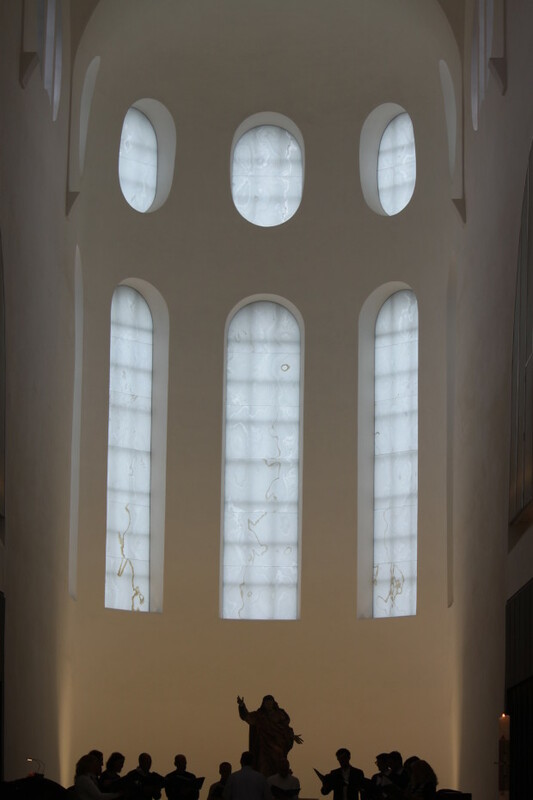 The church of St Moritz has been through many changes since its foundation nearly a thousand years ago. 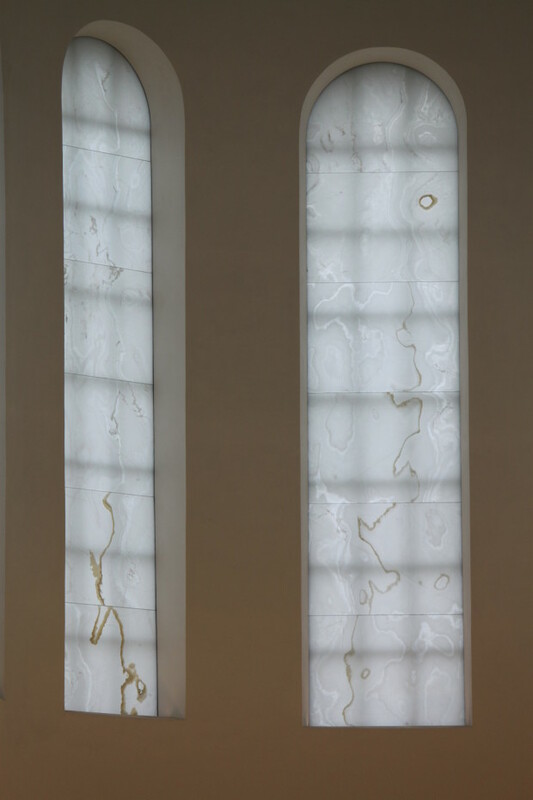 Devastating fires, changes in liturgical practice, aesthetic evolution and wartime bombing have each left their mark on the fabric of the building. 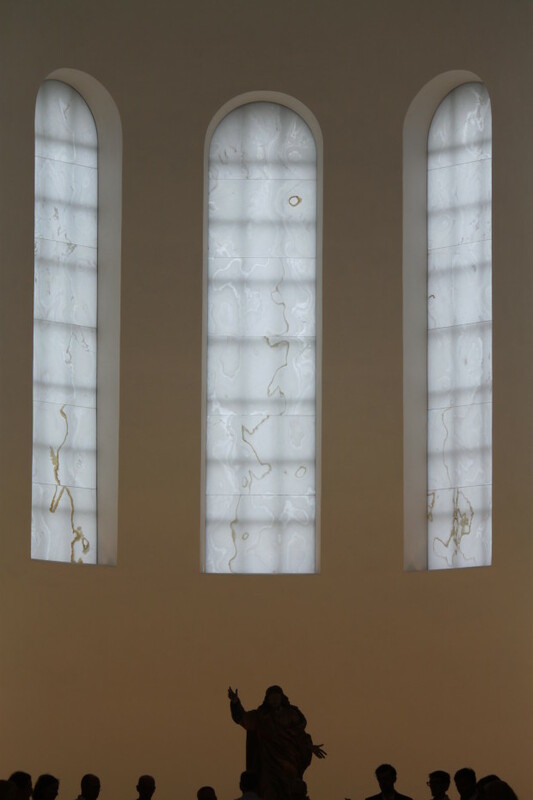 The purpose of this latest intervention has been to retune the existing architecture, from aesthetic, functional and liturgical perspectives, with considerations of sacred atmosphere always at the heart of the project. 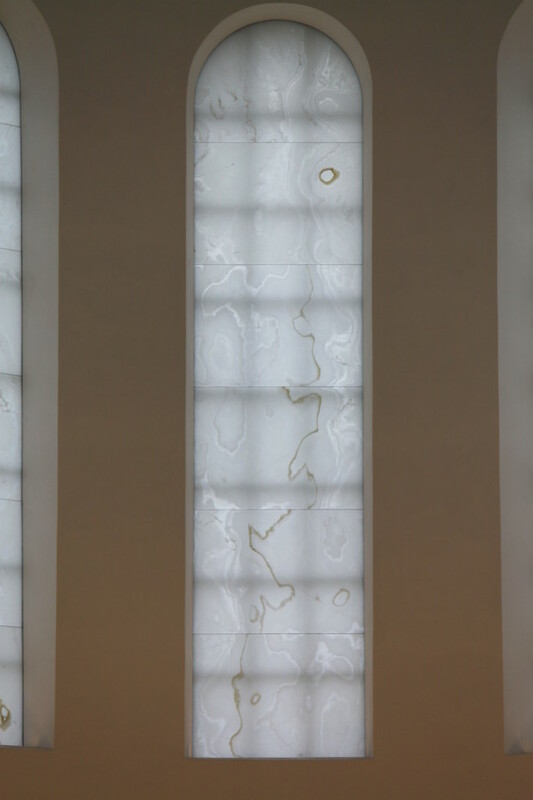 The work has involved the meticulous paring away of selected elements of the church’s complex fabric and the relocation of certain artifacts, to achieve a clearer visual field. Drawing on existing forms and elements of vocabulary, an architectural language has evolved that is recognizable in subtle ways as something new, yet has no jarring foreign elements. 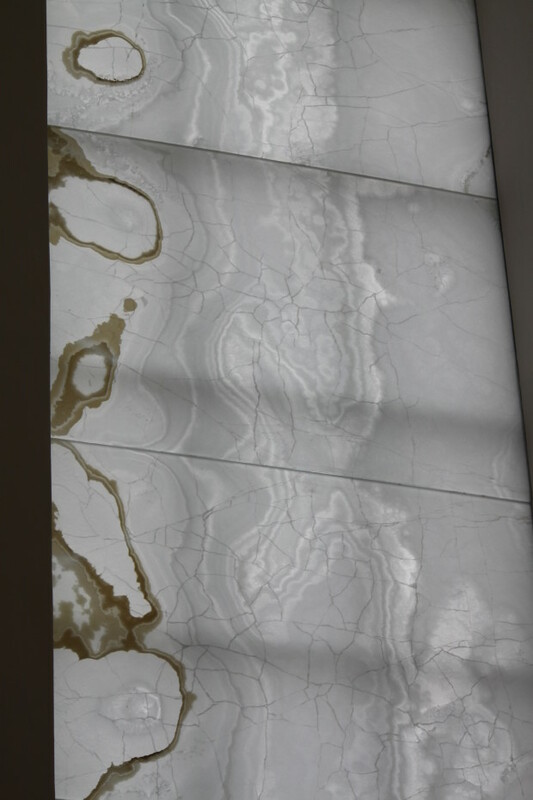 The material is onyx stone sliced very thinly and laminated onto safety glass.